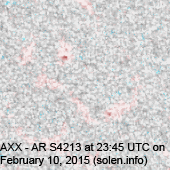 Last major update issued on February 11, 2015 at 04:20 UTC. 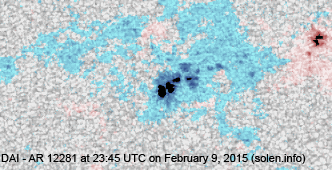 The geomagnetic field was quiet to unsettled on February 10. 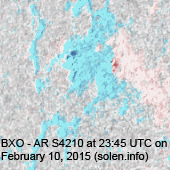 Solar wind speed at SOHO ranged between 349 and 404 km/s. 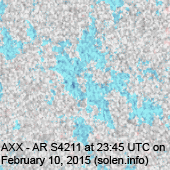 Solar flux at 20h UTC on 2.8 GHz was 141.0 (decreasing 0.8 over the last solar rotation). 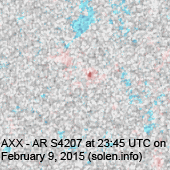 The 90 day 10.7 flux at 1 AU was 149.2. 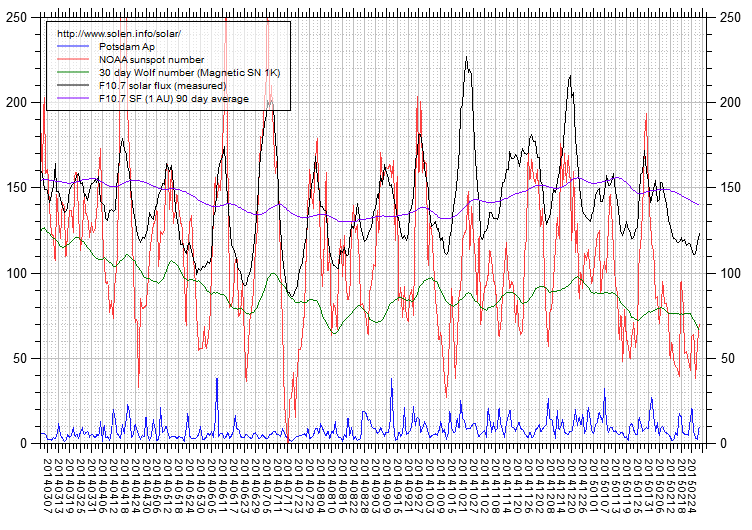 The Potsdam WDC planetary A index was 5 (STAR Ap - based on the mean of three hour interval ap indices: 5.4). 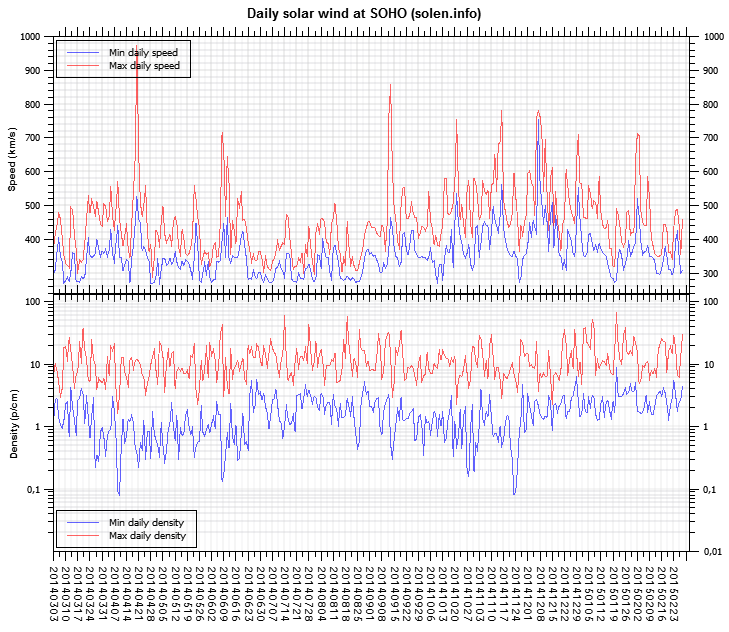 Three hour interval K indices: 12101113 (planetary), 12102222 (Boulder). 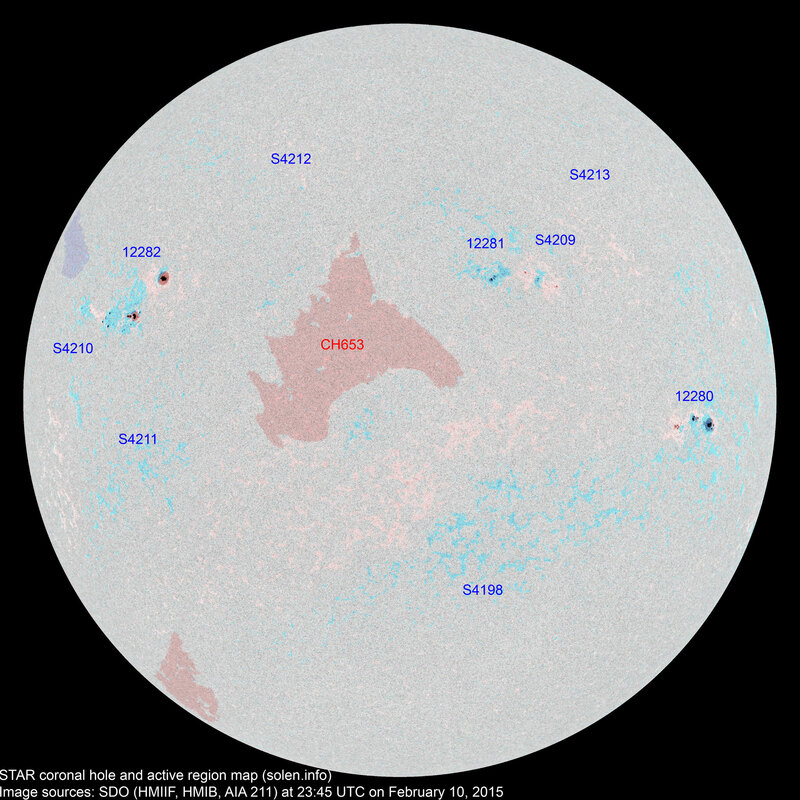 At the time of counting spots (see image time), spots were observed in 9 active regions using 2K resolution (SN: 191) and 7 active regions using 1K resolution (SN: 127) SDO images on the visible solar disk. Region 12280 [S07W54] decayed slowly and still has a magnetic delta in a central penumbra. An M class flare is possible. 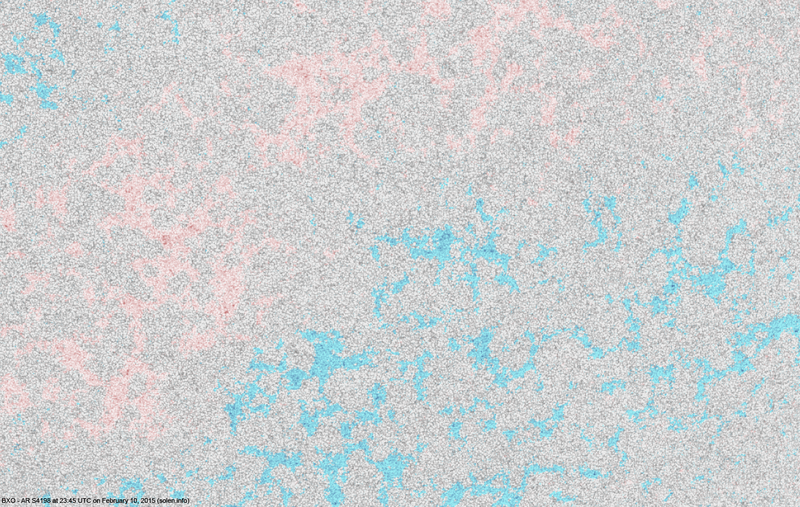 Region 12281 [N13W16] decayed slowly and quietly. 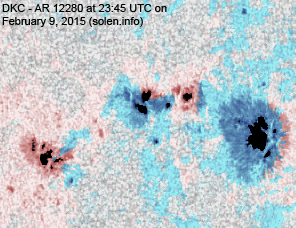 Region 12282 [N11E43] developed in the southern spot section and could produce another M class flare. 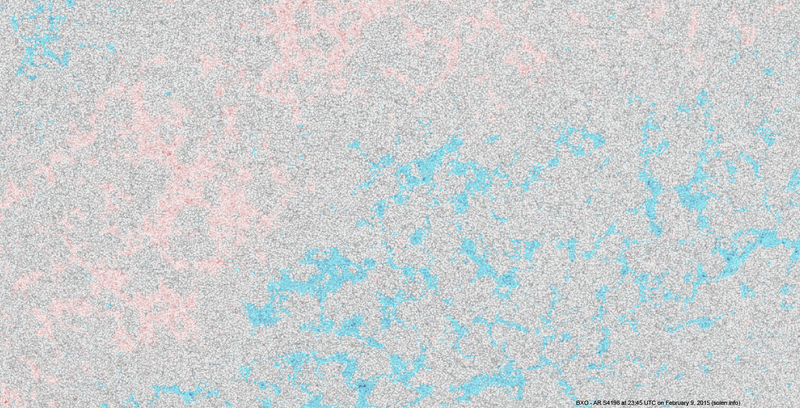 S4198 [S24W17] was quiet and stable. S4209 [N12W23] decayed slowly and quietly. 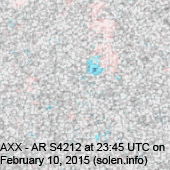 New region S4210 [N10E58] emerged to the east of AR 12282. 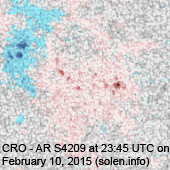 New region S4211 [S15E45] was observed with a penumbra spot. 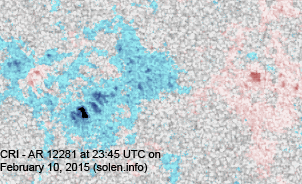 New region S4212 [N28E17] emerged with a penumbra spot. 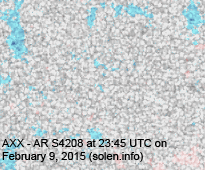 New region S4213 [N24W31] was observed with penumbra spots. 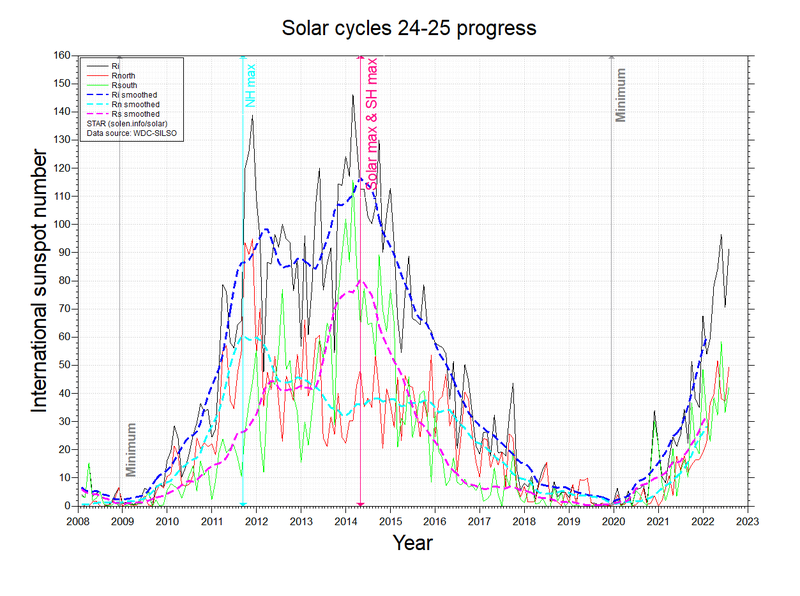 February 8-9: No obviously Earth directed CMEs were observed in LASCO imagery. 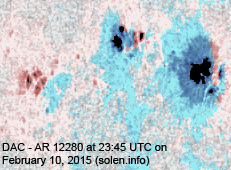 February 10: The M2 flare in AR 12282 just before midnight on February was associated with a large and wide CME. 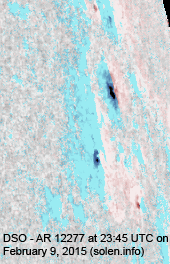 While most of the ejecta was seen off the east limb, there were weak extensions off the southwest limb and partly off the northwest limb. 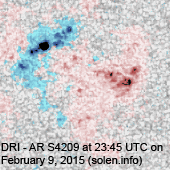 The partial halo CME could cause a glancing blow to the magnetosphere on February 13. A recurrent trans equatorial coronal hole (CH653) will rotate into an Earth facing position on February 10-12, CH653 has not been associated with geomagnetic disturbances during previous rotations. CH653 has displayed growth on February 9-10. 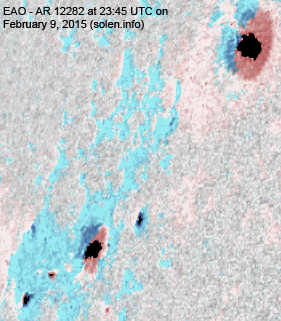 The geomagnetic field is expected to be quiet to unsettled on February 11-12. 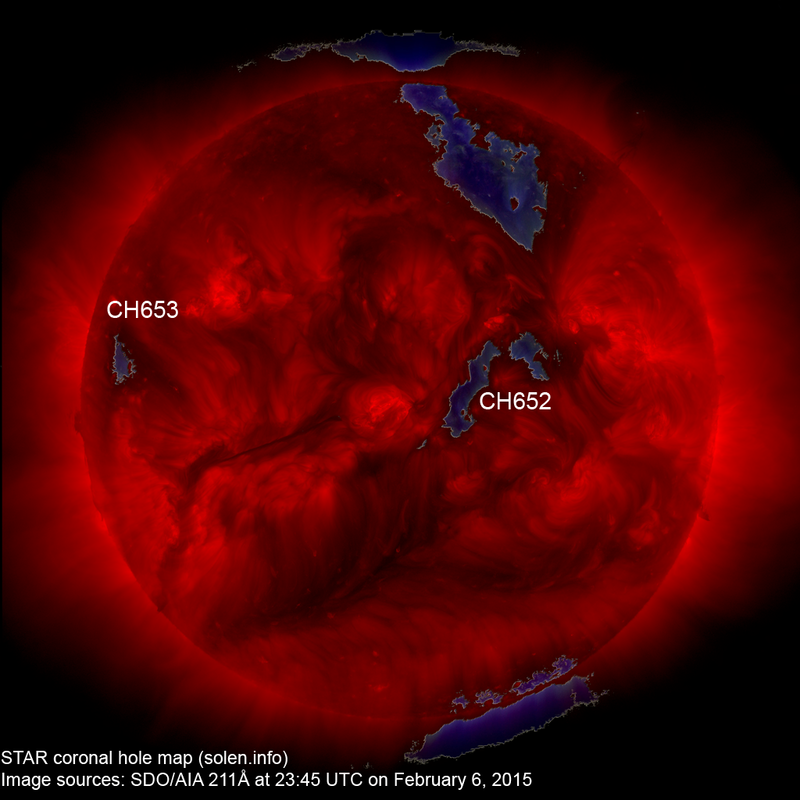 Weak geomagnetic effects associated with CH653 are possible on February 13-14. 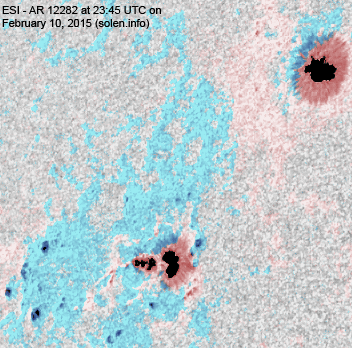 If there is a glancing blow from the CME observed after the M2 event in AR 12282 on February 9, there will be a chance of active intervals on February 13.